It has been a whirlwind few weeks for Spanish football, and it doesn’t appear to be letting up any time soon. Following the announcement of Zinedine Zidane’s sudden departure from Real Madrid just days after winning a hat-trick of Champions League crowns, the club has been in search of the right candidate to pick up where the Frenchman left off. The news of Zidane’s replacement was announced by the club on Tuesday, and few would have expected Spanish head coach Julen Lopetegui to accept the job while still in-charge of the Spanish national team, focused on going all the way at the World Cup in Russia. As it turns out, it wasn’t just fans who were surprised by the decision. Apparently, Spanish FA President Luis Rubiales was incensed with the decision, and had made up his mind about sacking Lopetegui, as the new Madrid boss allegedly never made his intention to join the Galacticos known to the board. Despite a number of Spanish players intervening to avoid such a huge incident from taking place just days before the World Cup, the writing was already on the wall, and the sack was subsequently announced. 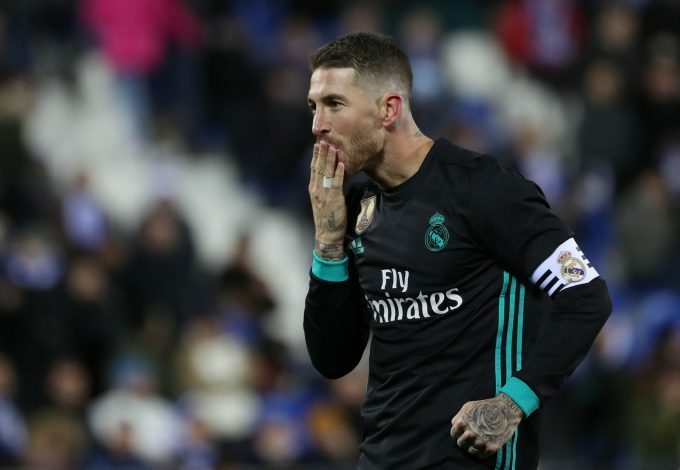 Since the decision, few Spanish players have spoken about the incident, and perhaps rightfully so, but La Roja’s captain and Real Madrid defender Sergio Ramos has tweeted out positively to ensure that fans keep their faith in the nation heading into the World Cup. There is no doubt that in Fernando Hierro, the Spanish do have an able leader, and with the experience of Ramos, Pique, and Iniesta, the 2010 Champions can still go all the way. But it remains to be seen whether the mindset of the players would have at all changed thanks to the ridiculousness surrounding all of Spanish football at the very minute. Spain begin their World Cup journey in Russia on the 15th of June in a big match against Portugal.